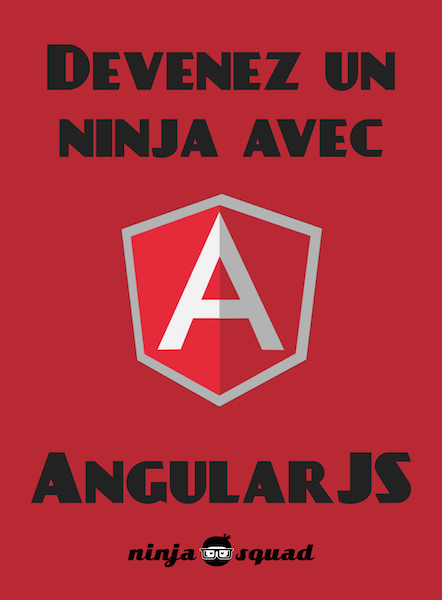 Ninja Squad proudly sells two ebooks about Angular: one (in French only) about AngularJS 1.x, and an other about Angular 2, 4, 5, 6 etc... (in English and French). They're both at free price, with optional support to charity. 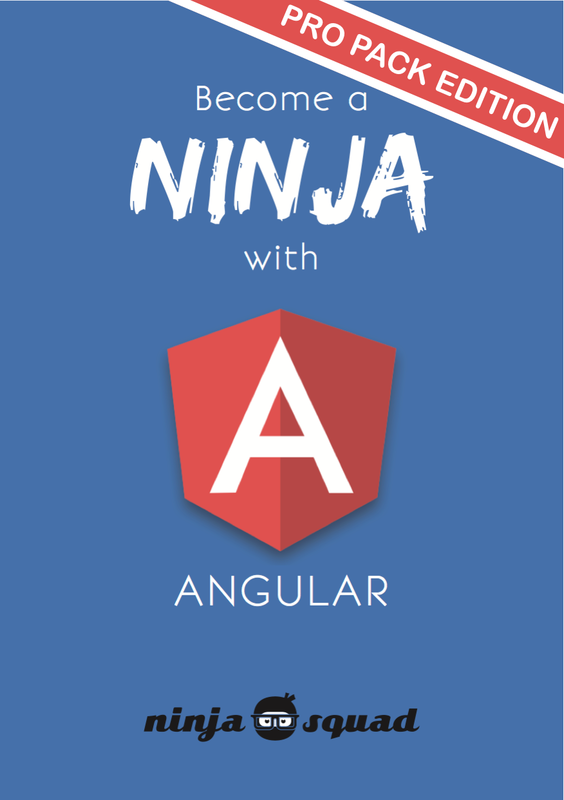 These books are regularly updated, with every Angular release, and these updates are freely provided to any buyer. You can download the latest version at any time. 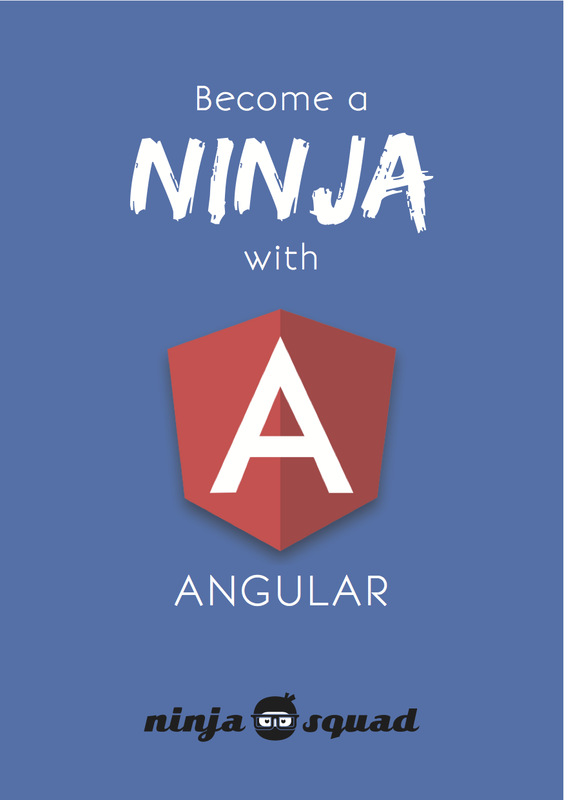 Angular is the rewrite of the popular AngularJS framework. This ebook helps you get the philosophy of the framework (Angular 2 to Angular 6), the new tools (like ES2015, TypeScript, Webpack, Angular CLI...), and each part of the framework in a pragmatic way. You should be able to kickstart your project by the end of the reading, and build your amazing apps! This ebook has already been bought by 5582 happy people, who chose to give an average of 10% to EFF. Our sales figures are public. It is also very regularly updated (and the updates are free to any buyer!). Learning by reading is nice. But sometimes you need some help to setup your first application, and start coding right away. This pack already taught Angular to 1198 effective professionals. Our sales figures are public. Avec ce livre, que vous soyez débutant ou non, vous allez pouvoir comprendre et maîtriser les mécanismes de ce framework exigeant. Ce livre a déjà été acheté par 1674 personnes consentantes, qui ont choisi de reverser en moyenne 23% à une association caritative. Nos chiffres de ventes sont publics.